Dehydrated preparation for Red Wine Sauce. Best before: See bottom of the can. Store in dry place. Well cover after use. Mejor antes: Ver abajo de la lata. Conservar en sitio seco. Tapar la lata bien después de usar. It takes hours to prepare a classical Salsa Colorado for Traditional Mexican cuisine. 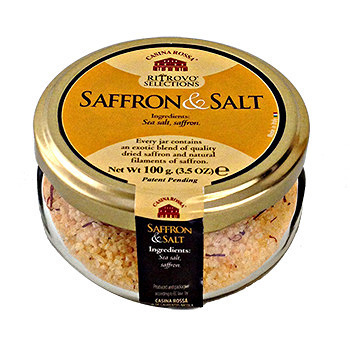 Combine Chefwise Red Wine Sauce, Savory vegetables and a variety of Chili powders, simmer and puree. Chefwise version of Salsa Colorado only takes a fraction of the time. Salsa Colorado perfect for Tamales, Enchiladas, even Huevos Rancheros. The classic French dish Coq Au Vin might seem daunting, but with the convenience of Chefwise Red Wine Sauce, creating this elegant dish is foolproof. Bon Appetite! Traditional French flavors/spices such as green peppercorn incorporated with Chefwise Red Wine Sauce are a good accompaniment to Tender Beef Fillet Mignon, NY Steak, and Chateau Briand. With Chefwise Red Wine Sauce , brown sugar and a touch of Balsamic Vinegar, you’ve made a fast & easy glaze for Pork Roast, Chops or Ribs. Here’s a different take to everyday meatloaf. 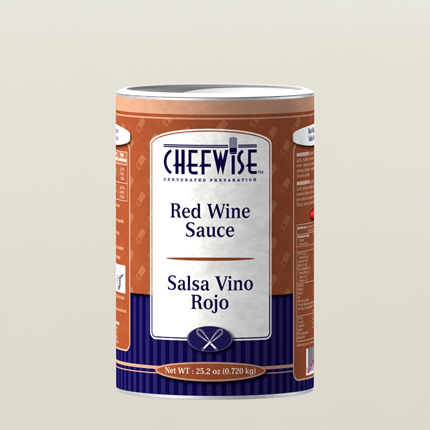 Use Chefwise Red Wine Sauce in your next preparation as a seasoning and a binding ingredient. Red Wine Meatloaf, the ease and convenience all provided from Chefwise Products! Add a touch of brown sugar and raspberries to Chefwise Red Wine Sauce, and you have the perfect accompaniment to succulent Roast Duck or Pork.